Unique style with great comfort can be obtained in one year by planting large trees (higher than 7 meters and with wide branch system) evenly on your site. 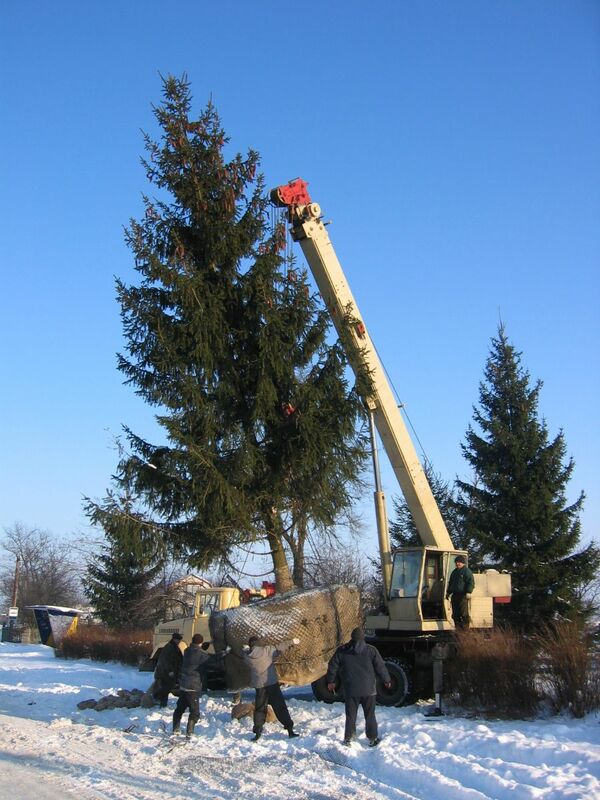 But planting of large trees is not so easy... in case if you did not work with us. Specialists of Company "Landscape Design" will make all your unbelievable dreams come true. The success in growing of the largest trees (up to 12 meters height) is guaranteed by professional selection, planting and treatment..
We gained experience in planting under the hard conditions such as limited area for movement of special vehicles or when planting zone is almost unreachable. So we invented and successfully apply new technology and special equipment for planting. Despite of many complicated tasks in preserving not only a new plant but those planted on the site, we have perfectly planted a lot of large trees on sites of our clients and also helped many times to colleagues working on landscaping market. You can see photos of plants in PLANT GALLERY.